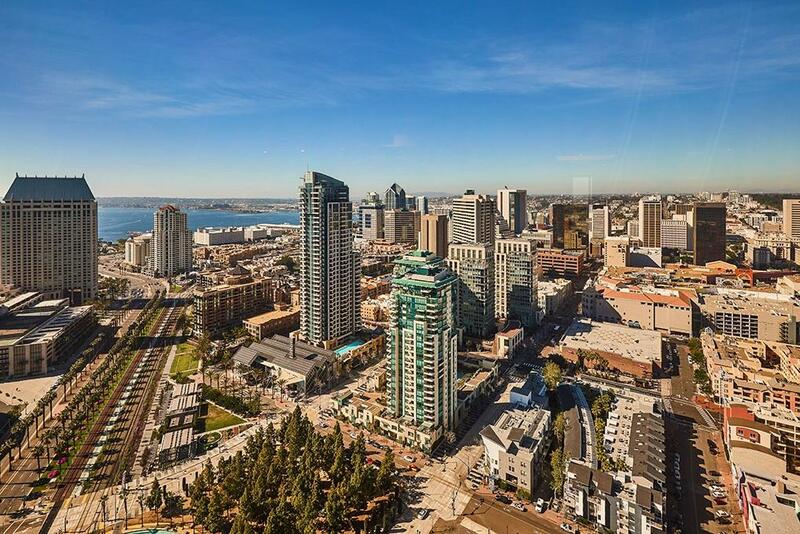 100 Harbor Drive #4002, San Diego, CA 92101 (#180066645) :: Neuman & Neuman Real Estate Inc.
A HIGH-RISE HAVEN! 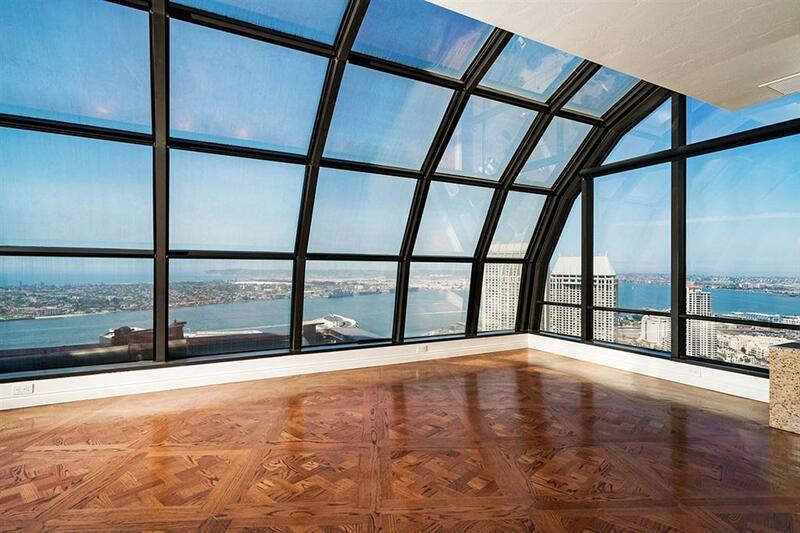 Marvel at this FULL FLOOR, single-level luxury penthouse. 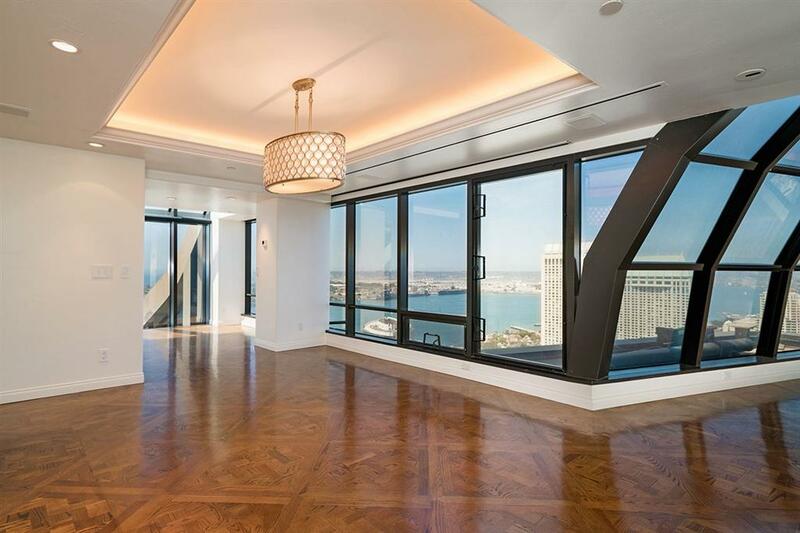 Enjoy over 3,600 square feet of living space and exquisite all-encompassing views spanning the bay and ocean as well as the mountains and glorious city lights. The specialty-keyed elevator opens to the impressive, private entrance foyer welcoming all who arrive at this stunning and entirely unique residence. Enjoy 24-hour concierge services and resort-style amenities. 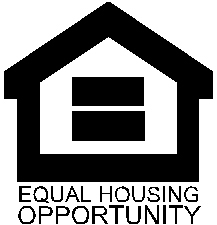 Please see supplement for full details. The Harbor Club, well-known for its iconic dual towers in the cityÃ¢â‚¬â„¢s skyline, boasts this one-of-a-kind residence Ã¢â‚¬â€œ entirely customized and offering numerous amenities. A culinary aficionadoÃ¢â‚¬â„¢s dream, the expansive kitchen features state-of-the-art stainless appliances inclusive of a Viking range, Miele convection oven, and a rare Miele steam oven Ã¢â‚¬â€œ rice, vegetables, and fish never tasted this good! Yards of granite prep space and an expansive eat-at bar face stunning views as far as the eye can see framed by architecturally stunning windows. The spacious living area is defined by a beautiful, double sided fireplace with gleaming stone surrounds creating an easy-feeling family space. The large dining area provides a wonderful venue for parties and entertaining including a generous open bar equipped with built-in refrigerators, ice maker, and copious storage between the dining and living areas Ã¢â‚¬â€œ a dream for the host extraordinaire. Retreat to the master suite with dual walk-around closets, a sauna, and an expansive marble master bath spa with a jetted tub for two, large steam shower featuring a state-of-the-art Hansgrohe Paharo shower system, automated Toto toilet, and sweeping blue water views. Additional desirable features offered in this supreme residence are two en-suite bedrooms with luxury stone finishes, an intimate reading room or home office, generous wall space ideal for art installations, motorized window shades, Lutron controlled lighting, and a large laundry room. Complete with 3 deeded side-by-side parking spaces, this is truly a rarity Downtown. Residents of the Harbor Club enjoy a wide range of resort-style amenities including 24-hour concierge, fully equipped gym and a beautiful pool deck, club room, and so much more. Enjoy living the good life at the top!